English physicist and philosopher of science who created a controversy as he long pursued claims of inconsistency in Einstein’s Special Theory of Relativity. 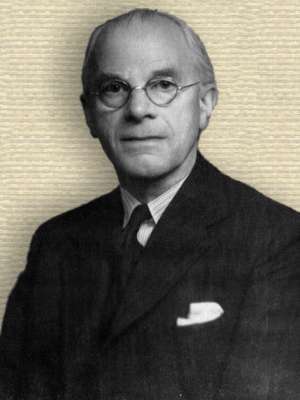 He was president of the Royal Astronomical Society for the period 1951-1953. All advances in science consist either in enlarging the range of experience or in expressing the regularities found or to be found in it. Presidential Address, Royal Astronomical Society, London (13 Feb 1953), 'On Science and Modern Cosmology', Monthly Notices of the Royal Astronomical Society (1953), 113, No. 3, 393. It is ironical that, in the very field in which Science has claimed superiority to Theology, for example—in the abandoning of dogma and the granting of absolute freedom to criticism—the positions are now reversed. Science will not tolerate criticism of special relativity, while Theology talks freely about the death of God, religionless Christianity, and so on. In 'Preface', Science at the Crossroads (1972), 13. In Modern Astrophysics (1924), 182.